The Pocket III XRF comes in three various Models. 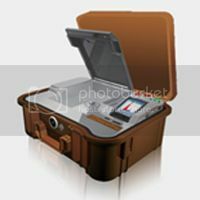 The Pocket III can be calibrated to work for various applications. Mineral Exploration and Surveying, Alloy Analysis, Precious Metals Analysis, ROHS/WEEE Analysis. 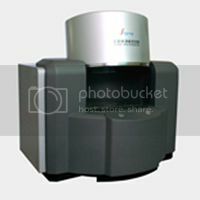 The EDX600 is a Low-Cost X-ray Fluorescence (XRF) Spectrometer that was specifically designed for the Precious Metals Industry. 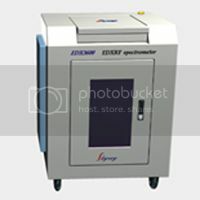 The EDX600 incorporates Skyray's years of experience in the precious metals testing with unique product configurations and fully functional software. 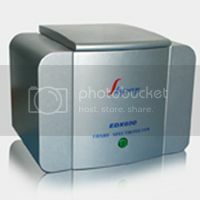 Its ergonic design and user friendly software interface grants the users a simple measurement. 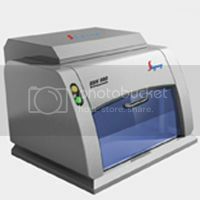 The EDX600 is configured with an efficient and practical proportional counter, delivering compositions and plating thickness measurements of precious metals at a reasonable cost. The EDX880 is similar to the EDX600, however it uses an over the top method of analysis. This gives the generated x-rays a clear view of the sample. Also, in comparison to the EDX600, the EDX880 can test the insides of rings and bangle bracelets, and also can test larger samples. The EDX3000 is an upgraded model from the EDX600 series. 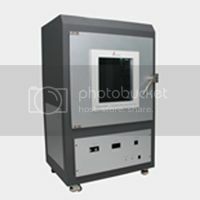 The EDX3000 is equipped with a SiPin Diode Detector and has the capabilities of testing all the elements from Sulfur - Uranium, however, it is mainly used for the analysis of precious metals. The precision increases from .1% to .05%. With new software developments, the EDX3000 is a universal tool for the precious metal industry. 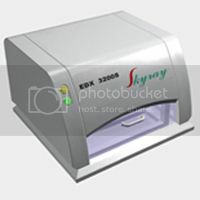 The EDX2800 is the #1 seller at Skyray Instrument Inc. With over 3000 of these leaving our manufacturing plant yearly, the EDX2800 stands out in price, usability, repeatable testing. The EDX2800 is equipped with 8 automatic collimators and 5 automatic filters which makes the system completely automated. Another great benefit of utilizing the Skyray EDX2800 system is that it does not require any Liquid Nitrogen, this goes for all our systems. 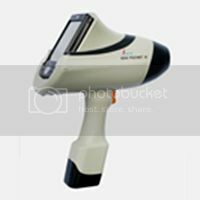 The Portable I XRF comes in three various Models. The Portable I can be calibrated to work for various applications. Mineral Exploration and Surveying, Alloy Analysis, Precious Metals Analysis, ROHS/WEEE Analysis. For further information, please view our brochure or request a quote. Recently the restriction on the amount of sulfur present in petrochemical products especially oils such as gasoline, diesel and lubricating oil has become a critical environmental concern. When too much sulfur is present in the fuels, it reacts with the air dissolved in fuel and reduces its stability; furthermore, in the burning process of fuels, sulfur decreases the transformation of the toxic discharges and results in the erosion of the engine's fuel system. Sulfur Dioxide is also generated in the burning process and it possesses a substantial threat to the natural environment. The ASTM D4294 Standard test is the testing process that utilizes an EDXRF Spectrometer. The EDX3200S was specifically designed for this test method. 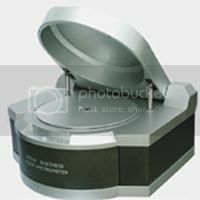 The EDX3600B is a powerful EDXRF that has built in 8 different collimators and 5 different filters for the various testing parameters. The vacuum chamber allows for highly precise results and the ability to test elements from Sodium (Na) to Uranium (U). 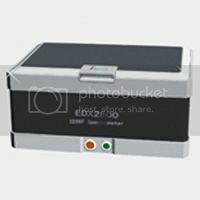 The EDX3600L is a powerful EDXRF that has built in 8 different collimators and 5 different filters for the various testing parameters. The vacuum chamber allows for highly precise results and the ability to test elements from Sodium (Na) to Uranium (U). This is a great tool for large pieces. The EDX3000D originates from the concept of accuracy, rapidness, non-destructiveness, intuitivity and environmentally friendly design. It is equipped with the Skyray patented Signal to Noice enhancer whic delivers improved accuracy in the test results. This equipment is eqiupped with a electronically controlled platform which allows the users to test very precise areas for WEEE or RoHS analysis. The EDX6000B is a powerful EDXRF that has built in 8 different collimators and 5 different filters for the various testing parameters. The vacuum chamber allows for highly precise results and the ability to test elements from Sodium (Na) to Uranium (U). 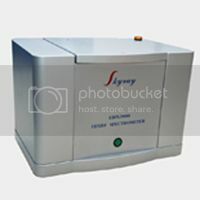 This is the first unit among Skyray's products to incorporate a 10 chamber auto sampler which allows for the testing of 10 samples simultaneously. 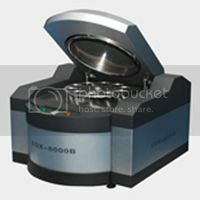 The EDX3600 is a powerful EDXRF that rotates the Pelletized sample during the test to obtain the most accurate results. 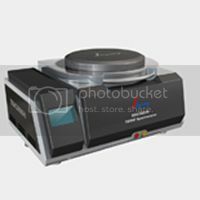 With the vacuum chamber plus the rotation and the High Resolution detector, this tool is great to test powders.